Is laundry only a woman’s job? A very thought provoking question. No work is big or small but the society has constituted our mindset whereby the household chores are regarded as less worthy and apt to be done only by the women folk. The question “Can’t men do the laundry?” is a question that has come in the minds of people in a way that has made it way to popular on the social level. A very beautiful campaign by Ariel was launched and it focused on the basic fact or the system of society and states that can’t man share the workload at home. There is no such concept as girls can do this work and not boys. Girls are getting educated and have actively entered in all professions and are doing extremely well. There is no work front right from armed forces to medicine or construction or plumbing or teaching women have entered all professions and have proved their worth and contribution there. However still they are forced to juggle between work and home. All the progress made in the society has contribution from the womenfolk. However no matter what they do or earn or be the leaders of the biggest company they are still expected to be a home maker and that too the perfect one. The definition of superwoman has been distorted by the society and this has lead to ill health and unbearable stress in the life of the women. A lady is expected to be on her toes working 24/7 for her family and also managing a strong career at the same time and also bringing up kids in a fairly decent manner and taking them for all activities is impossible for a human body. The women are doing it and are trying to push off their limits and achieve what is impossible but at what cost. This is making them so very unhappy and discontented soles. Even a machine breakdown, the mobile phones and laptops also need some rest and charge. Same is the case with women folk they need some help and assurance that they are appreciated and the family is with them to render help. This is outrageous and the attitude towards the women and their work responsibility needs to be changed. It hurts to see the women juggling between household chores, office, kids, family and so much that it is taking a toll on their health. Something needs to be done about this. The household work can be outsourced but even then the responsibility falls on the women folk. This attitude needs to be changed. The men can help in some of the chores of house so that the women folk are at ease. 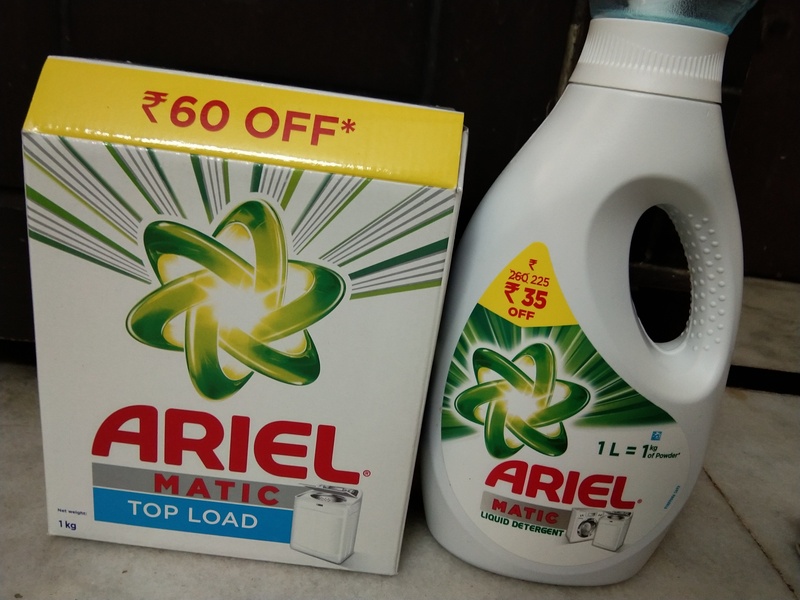 The men with the help of Ariel Washing powder or liquid can very easily and in a fun way clean the clothes and help their moms, sisters or wives. It is a change that needs to be welcomed on our society and also participated in. Great initiative by Ariel, need of the hour i must say. Gender equality starts at home and we all should practice it. This initiative by Ariel really hits the nail on the head. Gender equality is a must.